Inject some pure venom into your productions with our very first instalment of the Viper Recordings Official D&B Series, the high energy spawn from our latest premium collaboration with the almighty D&B label Viper Recordings! Exclusive to Prime Loops, this brand new range of essential Drum & Bass producer tools and samples has been extracted from the divergent minds of Viper Recordings’ choicest artists with each and every sound capable of blowing your tracks into D&B nirvana. With over two decades of combined experience in producing boundary pushing sounds, London based sample production house Prime Loops and Liverpool born D&B label Viper Recordings are natural partners to collaborate on this project to bring you a sprawling collection of professionally produced sounds for aspiring D&B producers. Viper’s artist roster includes Matrix & Futurebound, Brookes Brothers, The Prototypes, Cyantific, Koven, Smooth, InsideInfo, Trei, BMotion & Mob Tactics. 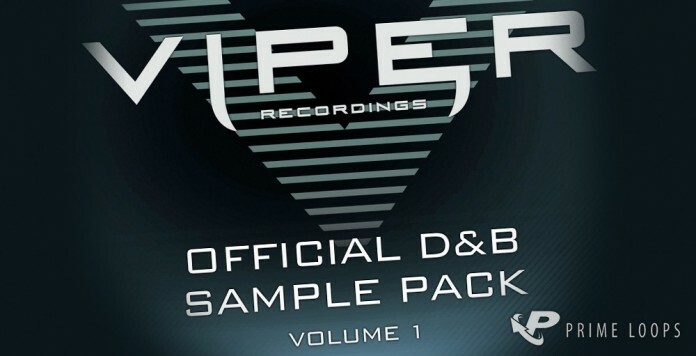 Inside Viper Recordings Official D&B Vol.1 you’ll find over 470MB of super-original D&B ammunition, including high energy drum samples, piercing synths & melodies, brutal Viper style basses, interesting vocal chops, uplifting FX and much more material, all ready for you to chop, change and rearrange to fit your productions.